Iron Star Urban Barbeque in Oklahoma city combines barbecue with fine dining. photo by Brent Fuchs. 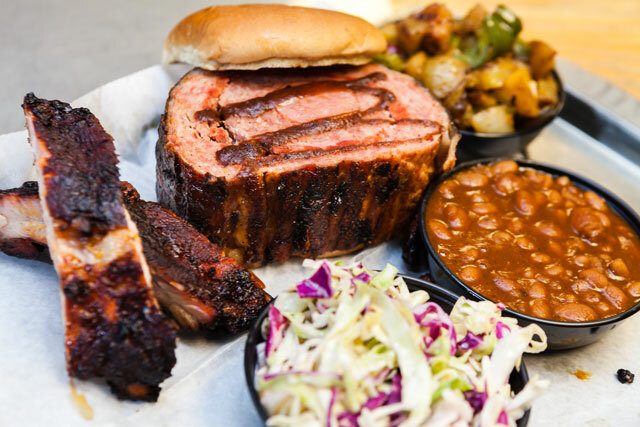 Burn Co. Barbeque sells barbecue and has a meat market for people wanting to cook their own. The answer to that question could be a number of things. Location certainly has a hand in play, but there are other factors as well. Oklahoma has access to some of the best wood used for barbecuing, a willingness to share knowledge to make everyone better and versatility. 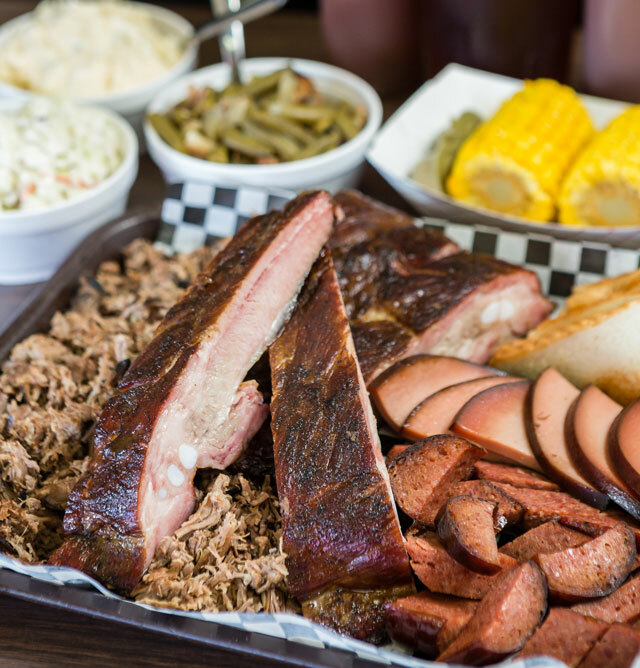 Whether you’re new to barbecue, a seasoned hand or just a fan of the food, you’re in the right place: The heartland of barbecue. Keith Jimerson, owner of elmer’s BBQ, in the kitchen. Iron Star Urban Barbeque in Oklahoma city combines barbecue with fine dining. Elmer’s BBQ in Tulsa is known for an old school style of barbecue. Most people might not expect a famous chef to give out his or her best recipes, but the Oklahoma barbecue community has no problem doing just that. Oklahomans can get barbecue advice from a variety of sources – many restaurants not only sell barbecue, but talk to customers about how they cook the food they sell. Burn Co. Barbeque even has a meat market so people can come in for their favorite barbecue or try to barbecue it themselves. Being open isn’t something reserved just for customers, though. Nick Corcoran, pitmaster at Burn Co. Barbeque, says the barbecue community in Oklahoma shares tricks and tips even with competing restaurants – comparing the openness in Oklahoma barbecue with that used by a manufacturer of electric cars. 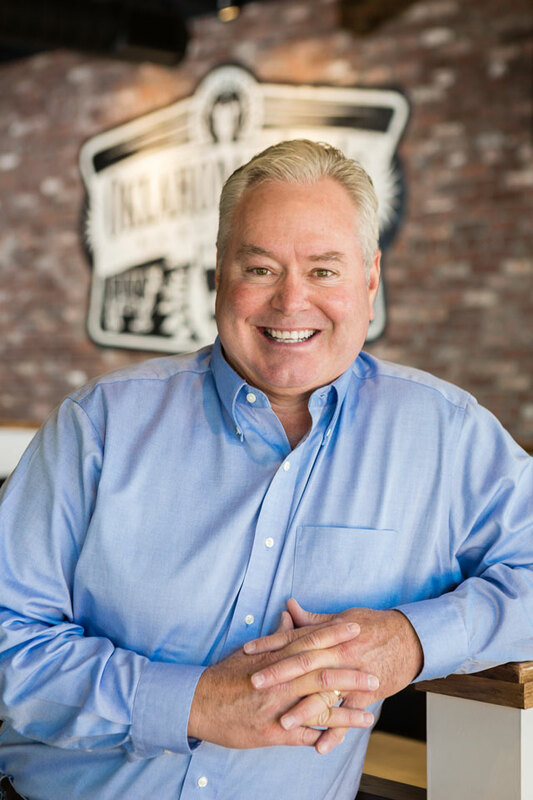 Barbecue restaurants are unusual because there often is an element of teaching the customers how the food is cooked, Corcoran says. And while many industries might avoid that type of openness, barbecue is usually an open book for Oklahoma restaurants. The focus of barbecue may be on the main course, but neglecting the side dishes can lead to a mediocre experience. A few of the popular side items for barbecue are baked beans, potato salad, coleslaw and green beans – Jimerson says green beans are popular because many people like to have green vegetables with their meals. The restaurant also experiments with new sides, such as macaroni and cheese. Side dishes don’t have to be completely separate from the main dish. Trimmed slices of meat you might not serve on a plate can be used in the side dishes. So next time you plan on barbecuing, don’t forget to plan and spend some time on the side items. 1. Start with a good cut of meat. As the saying goes, you get out what you put in. If you’re looking for good barbecue, it all starts with the quality of meat you put on the grill. If you’re not comfortable picking the best cut of meat, visit with your local butcher. 2. Think of your flavor profile. flavor of the barbecue. The rub used to season the meat before cooking, the sauce you use, and even the wood in the fire is important to the taste. 3. Watch the time and temperature. The temperature of the fire and the time your food cooks differ by the type of meat you’re barbecuing. Tender meats are more likely to be cooked hot and fast to sear the outside while staying tender inside. For tougher meats like briskets, most people prefer using low heat over a longer period of time. 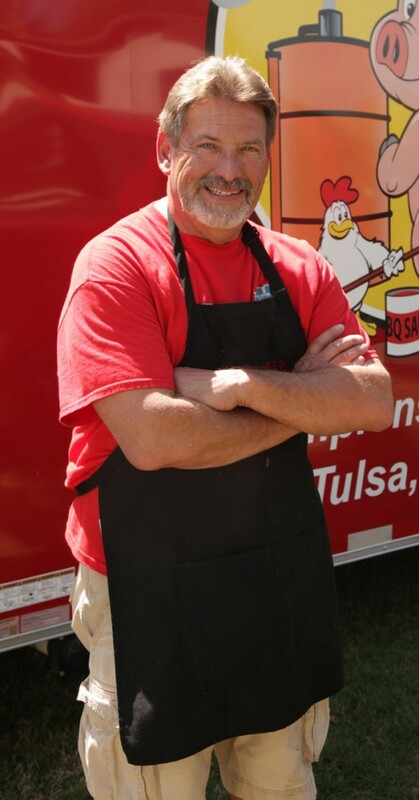 Tulsa Attorney Brad Beasley competes in 25 to 30 barbecue competitions each year. Photo by Marc Rains. With all the great barbecue in Oklahoma, it’s not a surprise that competitive barbecuing has taken off in the state, providing fierce, but friendly, contests. Tulsa attorney Brad Beasley has been participating in barbecue competitions for around five years now. What started out as a casual hobby grew, and he now competes in 25 to 30 contests a year – almost every weekend between March and October. His barbecue team, Big Butts Need Rubbin Too, is currently ranked 38th in the Kansas City Barbecue Society’s 2016 Team of the Year standings. The Kansas City Barbecue Society is the largest barbecue organization in the world, consisting of more than 20,000 members and hosting barbecue contests around the world. Beasley says KCBS hosts around 550 contests in the U.S. annually, and around another 50 or so in countries around the world. The rules for each competition are the same, and the results are combined to create the rankings for top teams. Around 12 to 15 Oklahoma barbecue teams will appear in the top 100 teams each year, Beasley says, adding that currently eight teams are included in the top 40 teams. Despite the high level of competitiveness, Beasley says the comradery among the competition is one of the reasons he enjoys the contests. The competition still matters, though, and Beasley says participating makes people much better barbecue cooks. 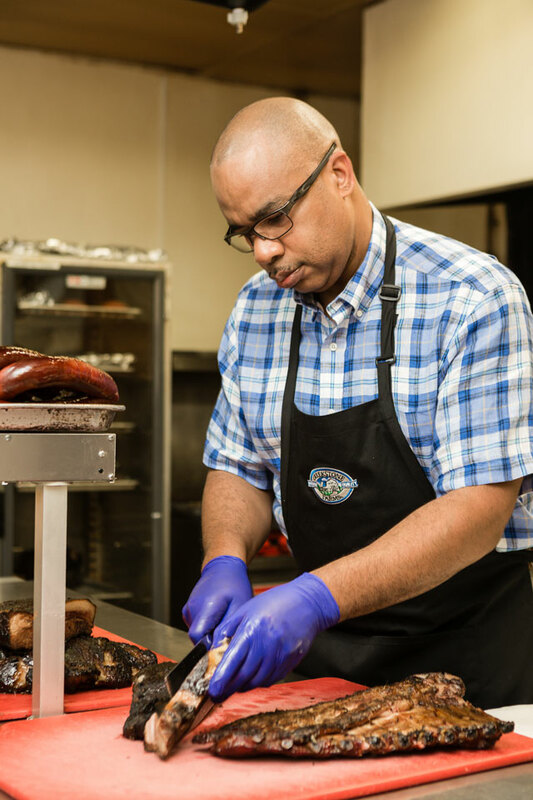 Most people competing use a combination of rubs – Beasley uses one barbecue rub he makes himself, but, for example, uses four different rubs on his chicken. For one of his sauces, he combines seven different sauces. The attention to detail in cooking can also result in a better finished product. 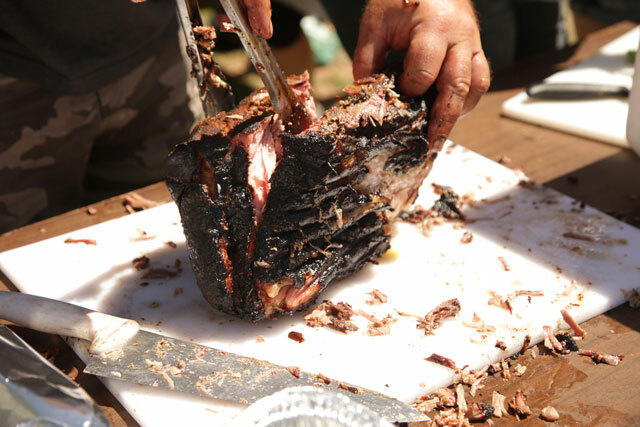 Barbecue restaurants cook on a mass scale, while competition barbecue cooks are cooking for six judges. Barbecue at Iron Star Barbeque. Photo by Brent Fuchs. Nick Corcoran, pit master at burn co. Barbeque. The spice rub and barbecue sauce used on meat are big factors in how the finished meat tastes. While there are many commercial rubs and sauces available, those rubs and sauces can be adapted to create a different taste. Keith Jimerson, owner of Elmer’s BBQ in Tulsa, says his restaurant creates its own barbecue sauce, which he sells on site, but is always willing to customize sauces to suit someone’s taste. Paul Schatte, co-owner of Head Country Bar-B-Q, says he encourages people to add new things to the rubs and sauces sold by the company. Experimentation isn’t just reserved for sauces, though. Iron Star Urban Barbeque in Oklahoma City started with the concept of combining barbecue with fine dining. 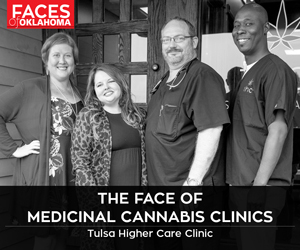 The idea was new in Oklahoma – while there may be plenty of barbecue restaurants in the state, a barbecue restaurant with specialty drinks, linen napkins and a full dining experience was unusual in the area. Kimberly King, general manager of Iron Star Urban Barbeque, says some people said the food wasn’t what they were used to when the restaurant first opened, but over time the restaurant’s distinctive style was embraced by the customers. Not all outdoor cooking is the same – while grilling and barbecuing may share some similar components, the two styles are very different. 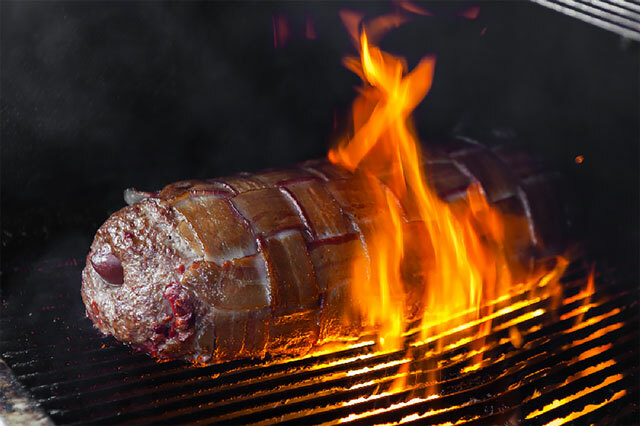 Grilling uses a direct fire and high heat to cook the meat. Temperatures for grilling start at 325 degrees and can exceed 500 degrees. Barbecuing uses indirect heat and lower temperatures, relying on constant heat over time to cook the meat while the smoke from the wood used in the fire adds additional flavor. Bixby BBQ ‘n Blues Competition. Photo by Marc Rains. Rubs and sauce may be the obvious way to give your barbecue some flavor, but it would be a mistake to ignore the wood used in the fire of your barbecue. The smoke from the fire flavors the meat, and different types of wood can make a major difference In the taste. 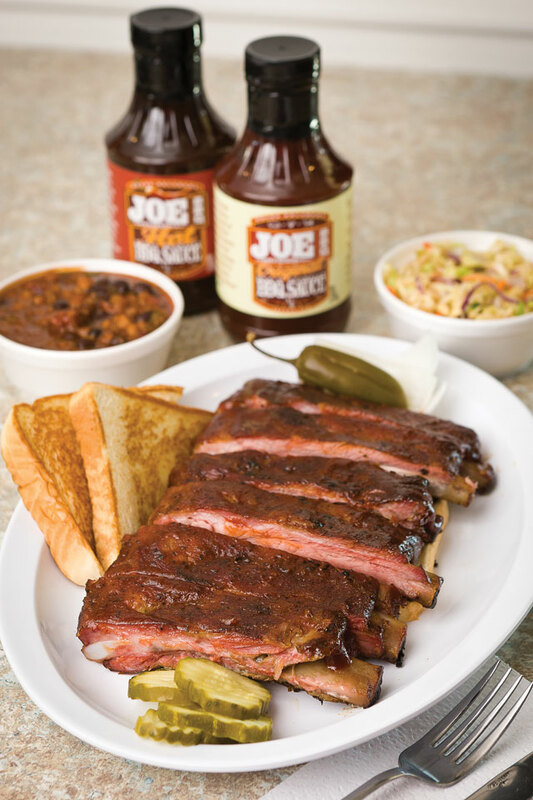 “People don’t think of wood as a seasoning, but in barbecue it’s the most important seasoning you’re using,” says Joe Davidson of Oklahoma Joe’s Bar-B-Q. Ribs at Oklahoma Joe’s bar-b-que. Photo by Chris Humphrey Photographer. While the choices for wood type may not be limitless, they can be overwhelming at first. Many people in Oklahoma choose to use pecan wood, which grows in the state. Other popular choices include mesquite, hickory, oak and apple wood – Davidson says his rule of thumb is any wood that bears a fruit or a nut is suitable for cooking. Avoid softwoods such as pine or spruce, which contain too much sap and can ruin the taste and even make people sick. Woods such as alder, apple, cherry and maple are more mild woods, best for foods with a lighter flavor that may not be heavily seasoned or sauced, while woods like hickory, mesquite, pecan and oak may work better for foods with a stronger flavor. 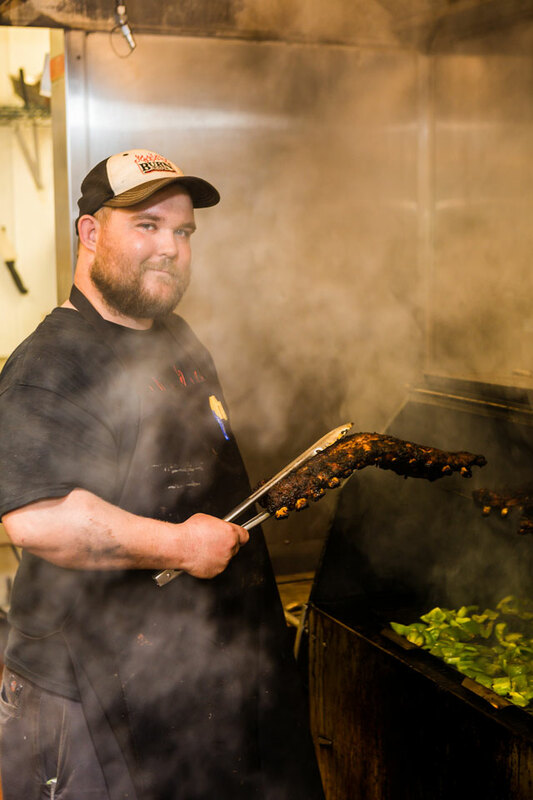 Some woods also burn with a thicker smoke or make a better bed of coals, which is important to Elmer’s BBQ owner Keith Jimerson. 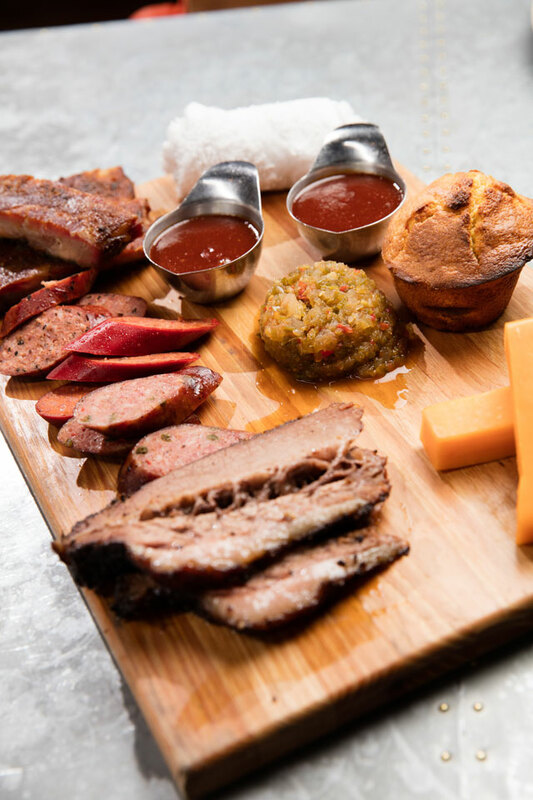 He serves what he describes as “old school barbecue with an authentic flavor,” and while his choice of wood may vary depending on factors such as the season or the meat being cooked, he likes using hickory and oak.